The Gospel Echoes Harvest Team will be in concert at the Radiant Life Church, Kokomo, IN, Sunday, August 18 2018 at 10:00 AM. The Gospel Echoes Harvest Team is in full time prison ministry, traveling to churches and prisons throughout the U.S. and Canada. He and his wife Lorna have served as team directors since 1980. The team has ministered in over 500 prisons. Glendon and Lorna also direct the Gospel Echoes Freedom Rallies and Cookie Projects. The Harvest Team includes Kristi Bender and Delbert Yoder. The Harvest Team services/Concerts include music, preaching, teaching and testimonies. Gospel Echoes Team also provides a Bible Study Correspondence Course and other literature free to prisoners. A network of over 700 volunteer graders mark the Bible Courses and give encouragement to prison inmates through the correspondence courses. The ministry is supported by freewill offerings and provides literature and ministry teams to prisons and chaplains throughout the U.S. free of charge! The ministry is supported by freewill offerings and provides literature and ministry teams to prisons and chaplains throughout the U.S. free of charge! Come and enjoy a time of music and inspiration. 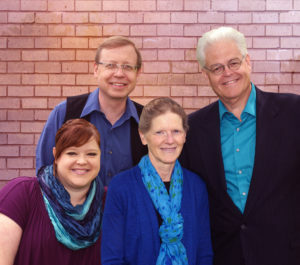 The Gospel Echoes Team, Inc. headquarters is in Goshen, Indiana with three regional offices located in Tangent, OR, Milbank, ON, and Saskatoon, SK. There are currently six teams who travel to over 500 prisons and churches every year, ministering through singing, preaching, seminars, Freedom Rallies, Cookie Projects, and other special events. In addition to the ministry teams, they have an extensive network of volunteers and a printing department which prints the Bible Study Correspondence Courses and Scripture Address booklets. These materials are provided free of charge to prison chaplains and inmates throughout the U.S. and Canada. Gospel Echoes also has a New Testament distribution program. Gospel Echoes began in 1969 and provides ministry outreach to over 700 prisons.